Select a Start Date, this is important because Arbiter limits the number of games to 50, so you may only see U10 games that are left to be assigned. 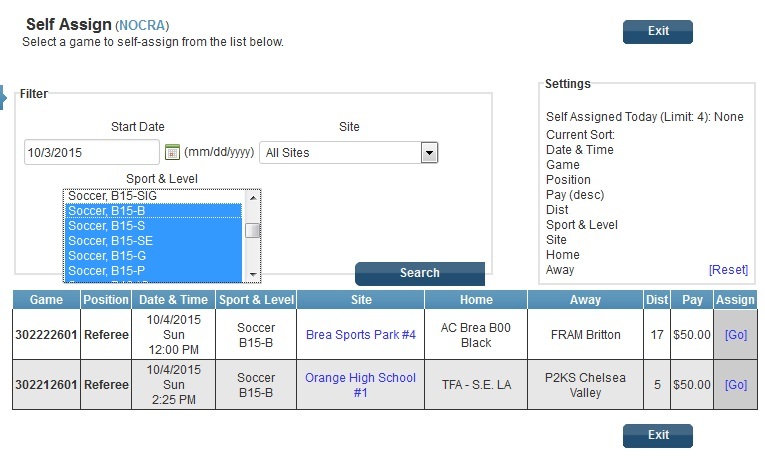 Select a Sport & Level (Division) RANGE that you want to view. Click Assign [Go] if you want this set of games. 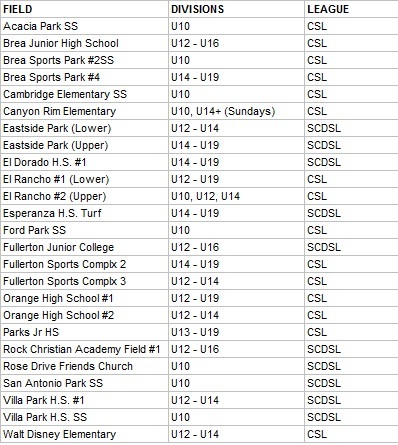 Below there is a list of the fields we serve and their Age Divisions. 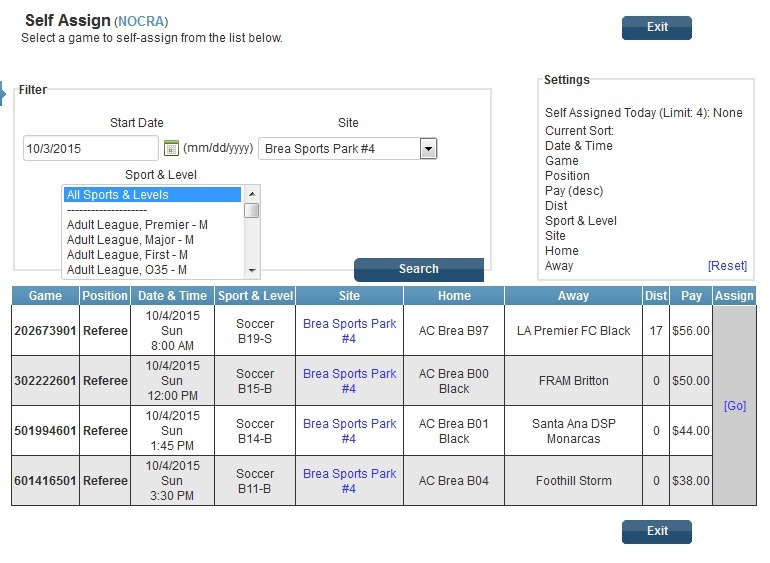 This is the best way to make sure you are changing fields for Saturday & Sunday games and throughout the season.